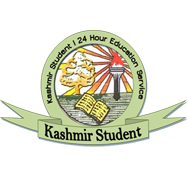 The post graduate students enrolled with Kashmir University through distance mode Friday staged a protest demonstration here at Press Colony urging authorities to postpone their examination as they are “yet to complete” the syllabus. The students of M. Com first and second semester alleged that the authorities have issued the date sheet before commencement of examination for third and fourth semester students which, according to them, was not the rule in previously. “Our exams were supposed to start in the month of August but KU authorities issued the date sheet two months earlier. There are hardly any gaps between the exam days. The date sheet has been issued just five days before the commencement of examination,” said a girl student wishing not to be named. The students said they are yet to complete the syllabus for most of the subjects being taught under the said course. “We have not received the study material in most of the subjects and are yet to complete our syllabus,” said Mudasir Ahmad, an M Com student. “We informed the concerned authorities about these problems but they didn’t pay any heed,” said another student adding that they have attended only one lecture in Accounting, one of the most important subjects in M. Com. The agitating students said they are being “forced” to appear in the internal examinations in all seven papers on a single day which, they said, is not possible for them. “We are being threatened that we will be rusticated if we register any complaint with anybody in this regard,” the protesting students alleged. The students have urged KU authorities to look into the matter and address their grievances. 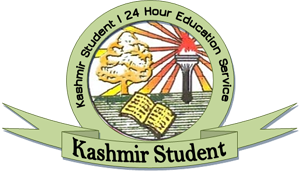 Talking to Rising Kashmir, Director Distance Education KU, Dr. Neelofar Khan said the exams are being conducted as per the orders of Controller for Examinations. “The step is being taken to complete the exams before the holy month of Ramzan,” she said.